Whenever I visit other people’s gardens, particularly at the start of the year, the conversation often turns to two questions. What new plants I am going to buy? And what were my favorite plants of the past season? I do not really have favorite plants for a season, but I might have a favorite plant on a particular day and at a particular time. It intrigues me to hear about plants that other gardeners are growing, especially if they are new to me. I also enjoy hearing people talk about a relatively well-known plant that might be used in a way that I had not contemplated. For more perspective, I asked three Oregon gardeners to discuss some plants that have been outstanding performers this year. Having visited their homes, I know these gardeners are passionate about plants and are always on the lookout for new things. Sometimes the new plants prove to be successful and sometimes not. My goal is to generate interest in new plants that might be relatively unknown to many, but deserve to be more widely planted. Perhaps this discussion will intrigue additional gardens and they will ask their local garden centers to stock these plants. Dave Eckerdt and his wife Pat live and garden in Salem. I have heard them refer to their garden as a “collector’s garden” and I most certainly agree. They are active in the local horticulture community in Salem and Portland, and Dave is the current president of the Salem Hardy Plant Society. 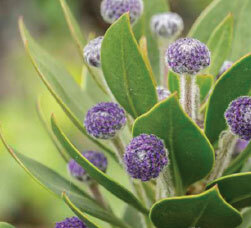 Last year, Dave and Pat encountered Globularia sarcophylla ‘Blue Eyes’. 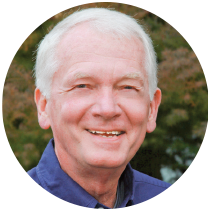 When Lance Wright worked for Portland Parks & Recreation, he was responsible for the parks in downtown Portland. I was particularly impressed with some of the plantings he used in flower beds throughout the Tom McCall Waterfront Park. Lance and his wife, Julie, live in Southeast Portland. Since his retirement he has remained very active in the horticulture community. Lance could not choose just one or two plants from his list, so he asked me to decide which of his favorites to highlight. They were all good options. Coincidentally, one of Lance’s selections was the same as Dave Eckerdt’s, and that was Sanquisorba hakusanensis. Romneya coulteri, was one of his favorites. “I love this plant,” he stated. 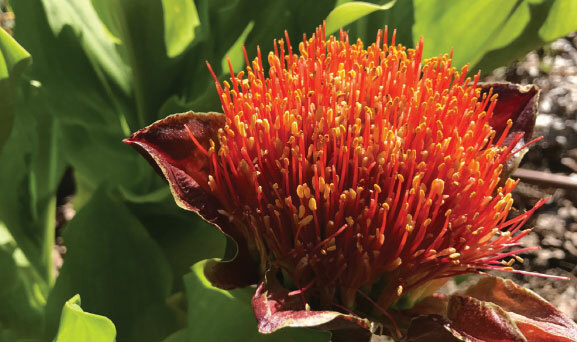 “It has gorgeous huge flowers and beautiful gluacus foliage. It is a tough, consistent performer along the West Coast, if it likes its site.” It likes good drainage and full sun best. John Reed and his wife, Marilyn, live and garden in West Linn. John said that he got a late start this past spring. “However, I did decide to trial some of the newer Lantana camara strains and was very impressed,” he stated. 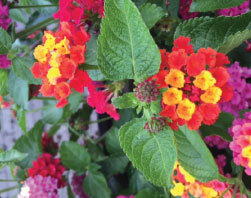 “I tried basic Lantana many years ago, but they always seemed to be leggy and a bit stingy with the blooms. But these new strains (Proven Winners has a dozen or so) did amazingly well, outperforming most common container fillers such as petunias. They were always in bloom, never had any aphid or other pest issues, tolerated the extreme heat and lasted long after the cold fall had hit other bloomers. While Hosta has been a standard garden plant for many years, new varieties are appearing and this genus is becoming very popular. “We expanded our collection of dwarf and miniature hostas this year, to about 30 different varieties,” John wrote. “There are so many beautiful and interesting forms now, and with Sebright Gardens introducing new varieties, it makes it easy to obtain them. Hopefully this discussion will encourage our retail garden centers to strive to obtain new plants so that the home gardener can continue to shop locally for the new and the unusual. Novelty always attracts a crowd. Also, do not forget about some of the tried and true plants such as Lantana and Hosta. They may have been around for a long time, but new varieties are constantly being introduced to make our choices even more difficult. It is imperative that local garden centers continue to increase the difficulty of our plant selections so that customers will return frequently and bring friends with them. Newness, just like the new year, is exciting and never wears off.